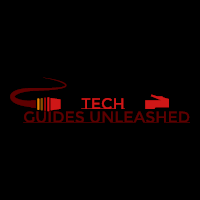 Welcome to TechGuides Unleashed. My name is Jonathan. I am an IT Tech civilian side, and a Drill Sergeant in the Army. Why make TechGuides Unleashed? I love to help people, train, instruct, inspire, and motivate. My plan is to create guides that will teach others new tricks on how to do various things. In 2014 I graduated with my AAS – IT, along with certificates in Computer Forensics and Network Security. In 2017, I became a Google Certified Admin. A lot of my guides will focus around G Suite and Windows, but if you want to know how to do something else, I am more than happy to attempt to find out for you! Please follow TGU, and visit the blog for my newest How-To Guides!